Email campaigns are comprised of directly sending a commercial message to a group of people using email. These email newsletters are emails sent out on a regular basis to a list of subscribers and customers. The primary purpose of an email newsletter is to build upon the relationship of the company with their subscribers and usually meant to build loyalty, trust, or brand awareness. The messages often include coupons, special offers, blog articles, customer spotlights, and local stories. 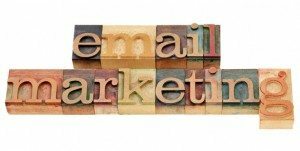 Here are a few email marketing tools that allow us to create an attractive and effective email campaign. Utilizing Customer Relationship Management tool (CRM), your email marketing through newsletters and automated sales messages, your company’s interactions with current and future customers can be organized and synchronized.